Church of Christ Wembley Downs established an Environment Policy in November 2008 outlining a range of actions they wanted to take to become more environmentally friendly. The policy was launched with a celebration, and range of posters and consensus from the congregation. Actions taken since include establishing an Environment Committee, changing to energy efficient lighting, installing solar panels, printing their newsletter in duplex, promoting environmental events, recycling batteries, light globes and toner/ink cartridges, PeaceChurch meetings focused on environmental issues, regular environment themed services and participation in Sustainable September. 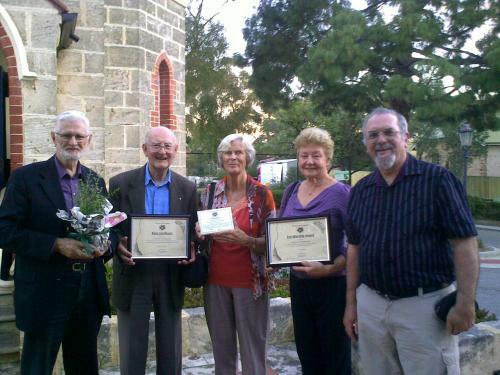 In May 2012 they were presented with the Basic Certificate and Eco-Worship Award.